● Portable, for field use - weighs 15kg, and requires only 10 amps to operate. ● Its extraordinary power (8KW! 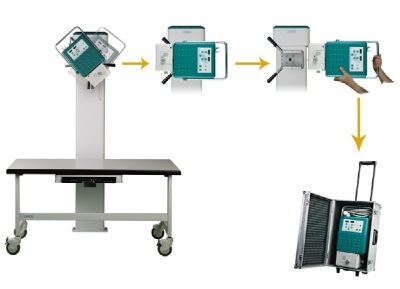 ), And mechanics added, make it a stationary system of high performance, for use in clinic. ● REGULATION of the Power Line: from 90 to 285 volts ● ADAPTATION of the output power according to characteristics of the electric supply.